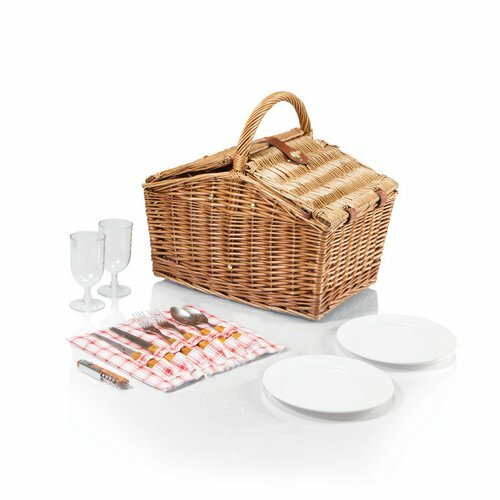 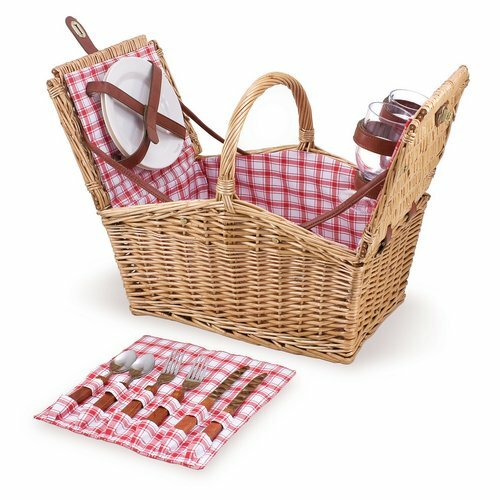 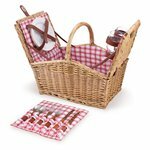 The Piccadilly Red and White Plaid Willow Picnic Basket features a fully-lined red and white plaid willow basket which measures 16in long and has a easy-access double-lid design with service for two. 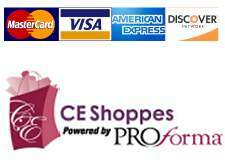 Included are 2 plates (melamine, 8in, solid white), 2 wine glasses (acrylic, 8 oz. 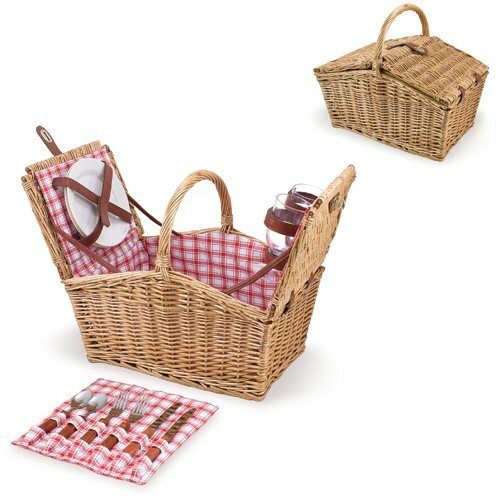 ), 2 (18/0) stainless steel forks, knives, and spoons (plastic, wood grain design handles), and 1 stainless steel waiter-style corkscrew. Features a matching roll-up flatware pouch and premium leatherette accents.